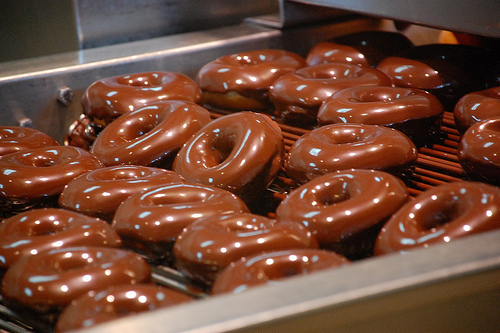 Chocolate-Glazed Schokolade Donuts. . Wallpaper and background images in the Essen club tagged: food donuts bakery chocolate glazed delicious photo you hungry yet?. This Essen photo might contain mandel, pinto bohnen, erdnuss, earthnut, goober, goober erbse, affenmutter, affe nuss, and monkey nut.